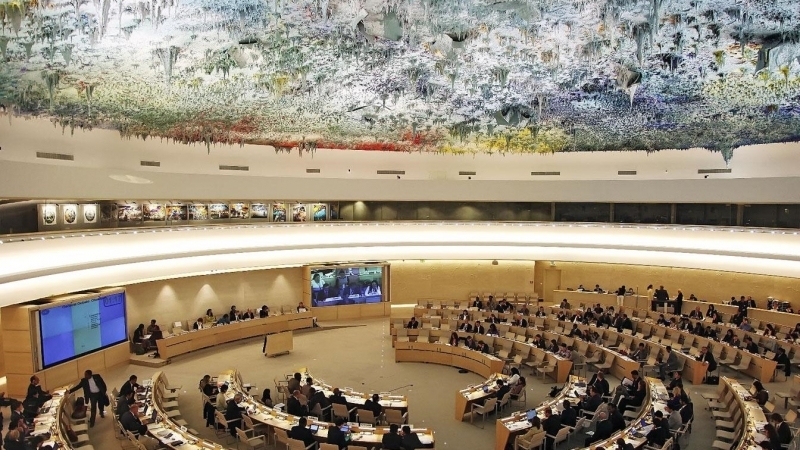 Today, on March 16, in Geneva, Switzerland, due to a staff strike in the UN Council, a human rights meeting was cancelled, at which representatives of Russia were to make a report about alleged violation of the rights of the inhabitants of the occupied peninsula by Ukraine. UN staff in Geneva have voted to strike on Friday over pay cuts, in a move sure to disrupt a wide range of activities at the world body's European headquarters. Angry U.N. staff in Geneva began protesting last May against a 7.5 percent cut to their salaries which has now taken effect for professional level staff. The representatives of Russia immediately accused Ukraine of the disruption, saying that Ukraine allegedly could be involved in a staff strike in the UN Council. A corresponding statement was made by the head of the working group at the permanent representation of the "Republic of Crimea" under the President of the Russian Federation Aleksandr Molokhov, who was supposed to speak. "I do not exclude that the meeting could be canceled, including due to the position of the Ukrainian delegation," he said. Molokhov directly accused Ukraine of disrupting, saying that Ukraine had specially plotted this. QHA reported that on March 15, the UN Security Council held a special meeting in the Arria format, dedicated to holding illegal presidential elections in Russia on the annexed peninsula.